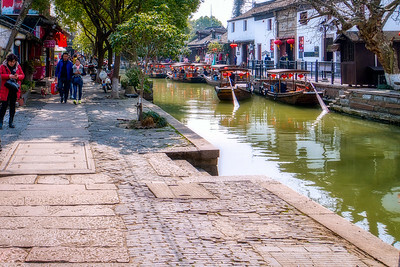 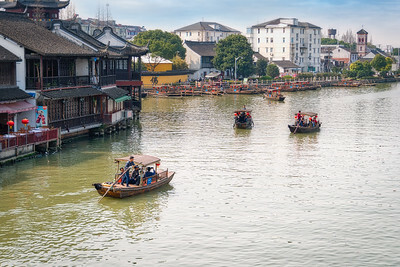 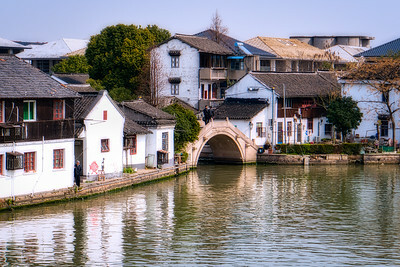 On our second day in Shanghai, we traveled outside the city to Zhujiajiao, a water town dating back some 5,000 years. 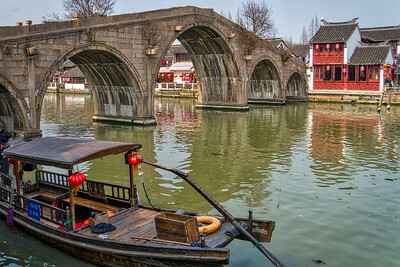 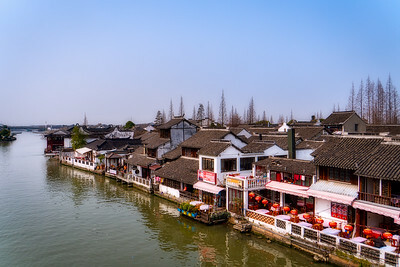 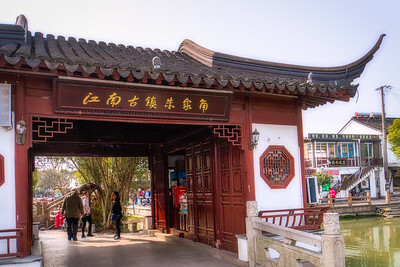 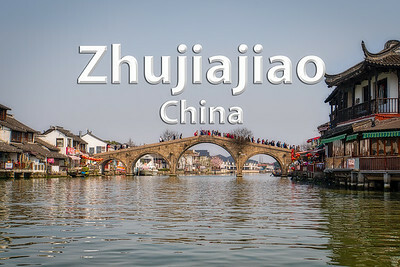 36 stone bridges and numerous rivers line Zhujiajiao, and many ancient buildings still line the riverbanks today. 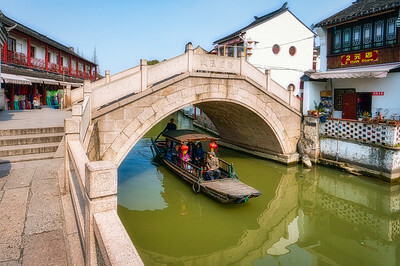 The Fangsheng Bridge (Setting Fishes Free Bridge), is the largest and longest was built in 1571. 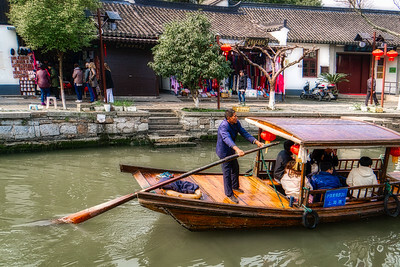 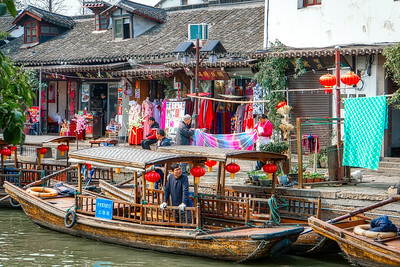 There are many narrow walkways, however the main transportation is by small boats driven by a single oar. 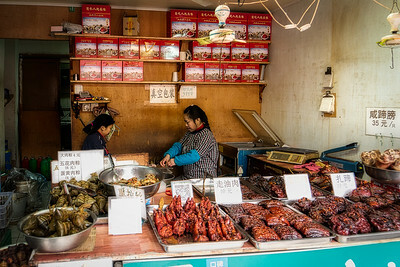 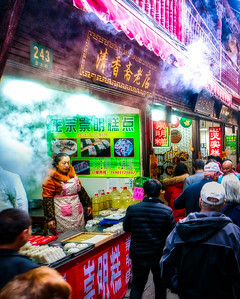 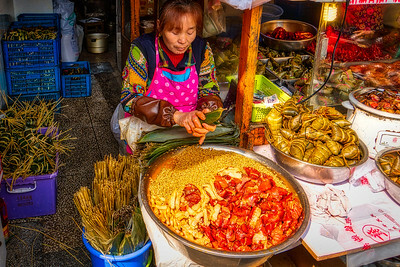 In the town there are many Food Stalls, serving a variety of local foods.